We had lots of fun introducing scouts to amateur radio. We made lots of local contacts by VHF and a few long range ones from IRLP. Unfortunately, we had a lot of trouble getting out on HF, and we ended up with 10-20 contacts. Previous Previous post: Want to see where maps have been generated for? 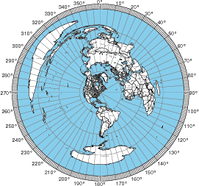 Next Next post: Now with latitude/longitude grids!